1. Do You Have Design Files? To get started and produce a quote, we’ll need the design files (or the blueprint) for what we’re building. If you don’t have these, that’s ok. We have some excellent design partners we work with to help our customers get this completed as the first step of the process. If you do have design files, you might also have a Bill of Materials or BOM. If have a BOM, we’ll ask for this as well to help in the quoting process. How many different assemblies will you need to have produced? How many of each of these assemblies will you need in the first order? What do you anticipate the frequency of future orders being? Since RBB specializes in providing recurring small batches of electronic assemblies, our team is best equipped to handle batch sizes ranging from 5-500 pieces that come in on a recurring basis throughout the year. At this level, we provide the greatest value and level of customer service for our valued customers. What is your long-term plan for production? 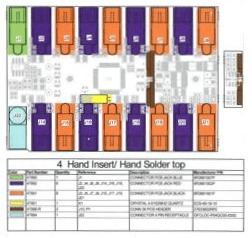 As long as the batch size stays within our sweet spot, we’d love to continue providing electronic assembly services for you and will want to plan to support your business growth plans. We’ll talk about the plans for forecasting additional orders so we can work as a true partner with your team. If your volumes grow beyond the scope of our sweet spot, that’s when we’ll work with you and our larger Contract Manufacturing partners to set you up with a long-term solution for your needs. Now of course, there are lots of other little details we’ll need to iron out to get a quote to you for your particular needs. But, these items are the big, priority items we’ll be looking to understand to find out if your project is a good fit for RBB, or if you’d be a better fit for one of our larger Contract Manufacturing partners.